Baynounah TV is supporting the Year of Giving with generous air time dedicated to raise awareness about the benefits of doing good during some of its programmes. The UAE TV channel, focused on Emirati culture and heritage, doesn't stop here. Throughout the year, Baynounah TV will surprise audiences and its staff with different acts of beneficence. Following the announcement of 2017 being the Year of Giving by His Highness Sheikh Khalifa Bin Zayed Al Nahyan (May God protect him), Baynounah TV has produced a suggestion board for its employees to offer helpful ideas in the support of beneficence. Baynounah's Giving initiative comes in line with the approach of the United Arab Emirates in the fields of humanitarian assistance and beneficence, for the benefit of all people and without any return. "The initiative of Baynounah TV comes to comply with the instructions of His Highness the President of the UAE. We are currently implementing a comprehensive work plan to embark on 2017 as a Year of Giving. In that respect, we are identifying the objectives, drafting the federal and local initiatives, unifying the efforts of voluntary action and strengthening the culture of social responsibility," said Mr. Eissa Saif Al Mazrouei, General Manager of Baynounah TV. He added that the suggestion board created by Baynounah TV is divided into three main categories - society, environment and loyalty. The board also includes the official insignia of the Year of Giving initiative in the form of a puzzle. "We have also created a voluntary fund. The total value of donations will eventually go to the Emirates Red Crescent Society and other charities," commented Mr. Al Mazrouei. “Through this initiative, we are hoping that each person and all institutions, whether private or public, will be committed to the efforts of generosity in this Year of Giving. The act of giving in its noblest forms is always accompanied by a desire to serve the nation, and work towards the elevation of its status. We believe in sacrifice for the nation and we remain committed to the nation’s progress and support,” he stressed. Mr. Al Mazrouei revealed that Baynounah TV is supporting the Year of Giving by saving the last five minutes of the "Khair Al Kalam" and "Qara'to Laka" programmes to raise awareness about this groundbreaking humanitarian initiative. "The initiative will also be promoted through some excerpts about the love of giving and the significance of humanitarian assistance. In that respect, we will draw attention to quotes by HH Sheikh Khalifa Bin Zayed Al Nahyan (May God protect him), HH Sheikh Mohammed bin Rashid Al Maktoum, the UAE’s vice president and prime minister, and Ruler of Dubai and HH Sheikh Mohammed bin Zayed Al Nahyan, the Crown Prince of Abu Dhabi and Deputy Supreme Commander of the UAE Armed Forces," Mr. Mazrouei said. "Khair Al Kalam" is a religious oriented programme, where Sheikh Taleb al Shehhi, the Director of the Preaching Department at the General Authority of Islamic Affairs and Endowments, introduces the viewers to the principles of tolerant Islam. He presents stories from the Prophetic biography and highlights their good impact on the society. Al Shehhi also discusses a number of social issues and answers the questions of the viewers, live on air. "Qara'to Laka" programme, hosted by Reem Nasser Al Otaiba, invites writers, translators and critics to discuss the most influential literary works in the Arab region. The programme also presents the viewers with an opportunity to enjoy in-depth discussions and readings of bestsellers. Launched in late 2013 under the slogan “Truly Emirati”, the satellite channel Baynounah TV managed to bolster its role and distinguished status in a brief period of time. By means of a valuable content and material, the channel has contributed to sustaining the national identity and the Emirati heritage. A television channel that promotes the different aspects of the Emirati society, Baynounah TV produces a wide range of fine programmes that cover different purposeful topics with regard to society, heritage, culture, environment and tourism. Over diverse programming seasons, Baynounah's shows, documentaries and programmes played a key role in preserving and bringing back to light Emirati heritage, thus building a stronger Emirati identity, particularly among the younger generations. Since its launch it has produced more than 40 specialised programmes. According to a media research study that has been conducted by a major institution in this field, 98% of viewers consider Baynounah TV as a local channel that is targeted at the Emirati public. They also regard the channel as representative of the Emirati culture and heritage, with greatest integrity and credibility. 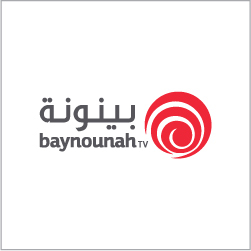 The same study reveals that 95% of the viewers consider Baynounah TV as a creative and educational TV channel. Also according to the study, 99% of the targeted viewers know the channel and 95% f them watch at least one of its programmes.